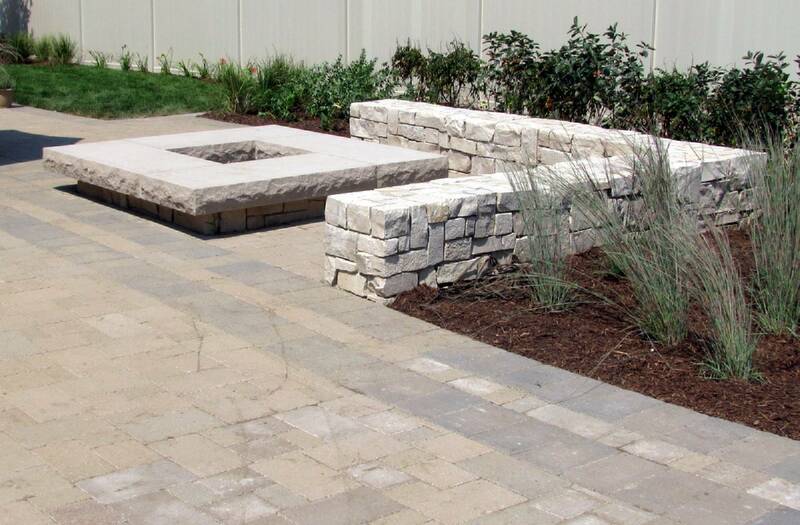 There are some key elements we address during the design and installation process, to provide our clients with a professional landscape. The single most common request among clients is “Low Maintenance”. This is achieved by working with nature and not against it. Rock landscape may minimize maintenance the first year, but dramatically increase long term maintenance. Consider how your home is viewed from the street, a 1/2 block down the street, as well as how a visitor will approach your front door. 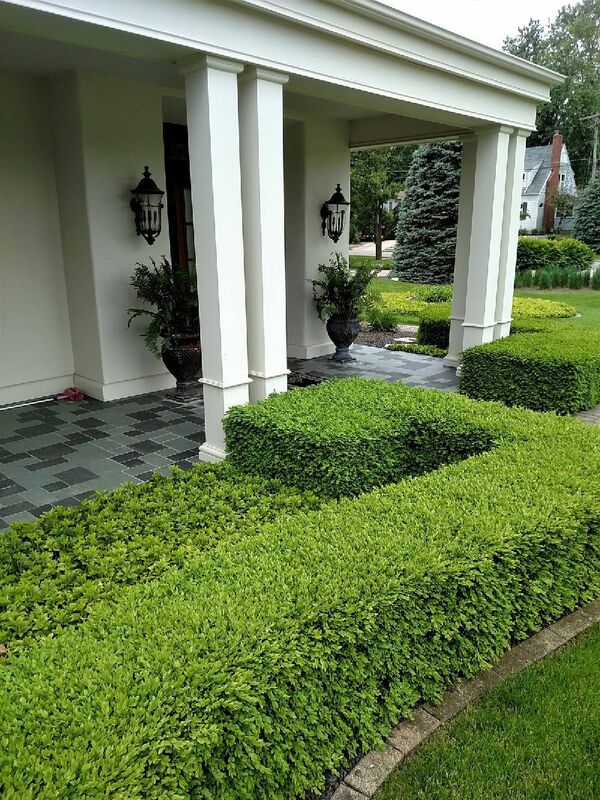 Consider the architectural style of your home and how your landscape can enhance its features as well as strengthen that architectural style. 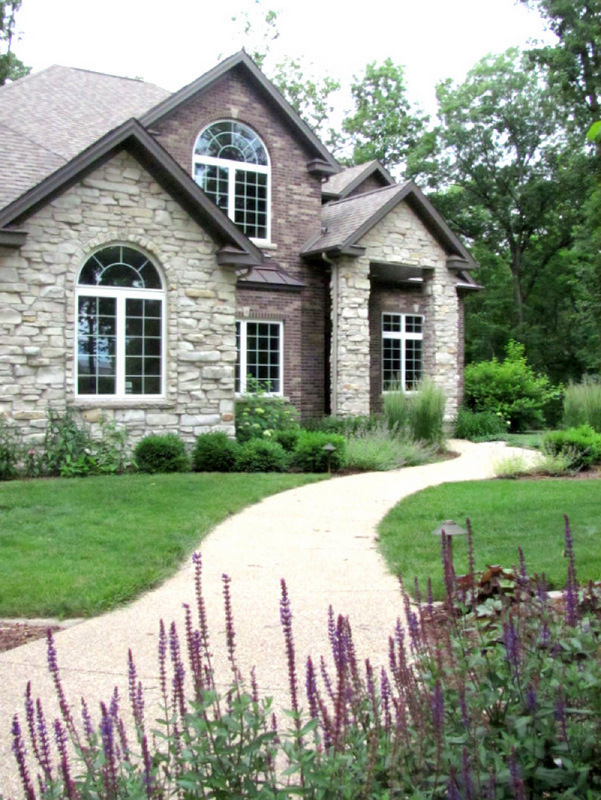 Specific plant and hardscape selections/arrangements should work in accordance with these 'big picture" considerations. 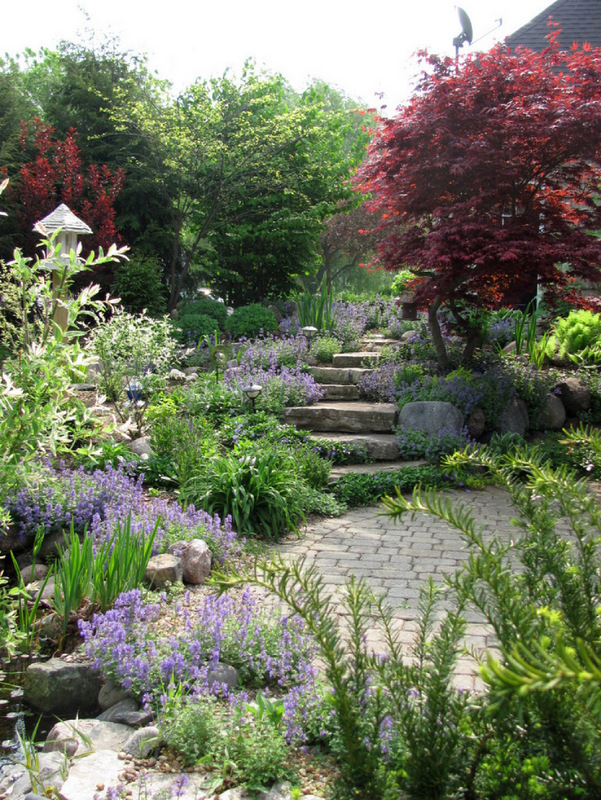 Multiple plantings of a single species in a “mass” or “drift” is one of the most basic, but important landscape principles. Same species should mass together in time. They provide more impact in their prime season, and cover ground plane. 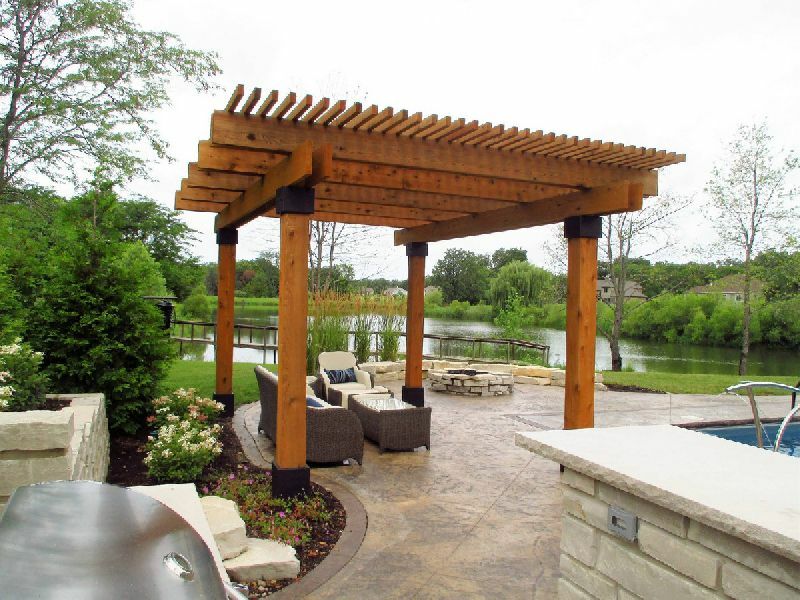 If an outdoor space is comfortable, inviting, and functions correctly with your lifestyle, it will become a living space that is an extension of your home. Not only do these plants like our environment, limit overgrowth, and provide natural timing for color, but can reduce maintenance dramatically. Our summers are hot and dry, and that’s what many of these plants love. 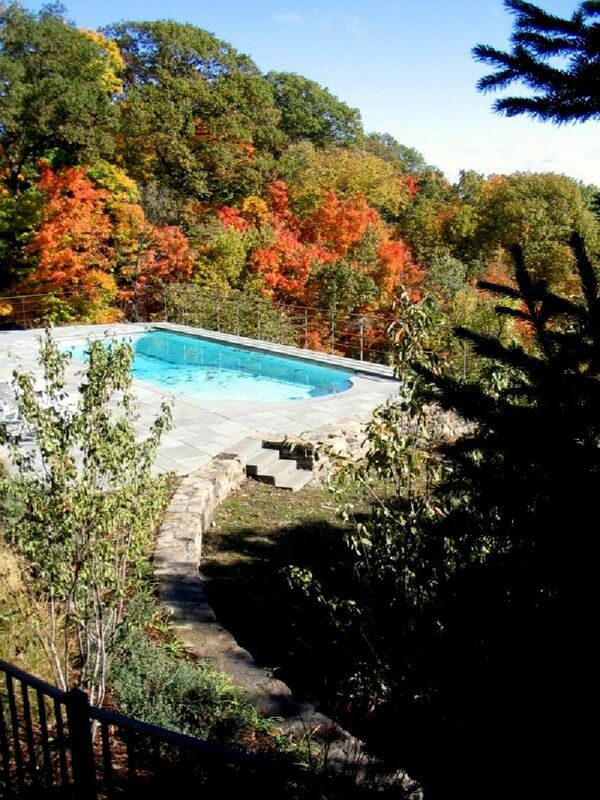 A landscape should enhance our dramatic seasons by providing change, that then becomes remarkable. Plants bred for purple or yellow summer foliage are unnatural and very static. A Landscape becomes theatrical when a mass of Black-Eyed-Susan comes into flower or a sumac grove fires red in the fall. 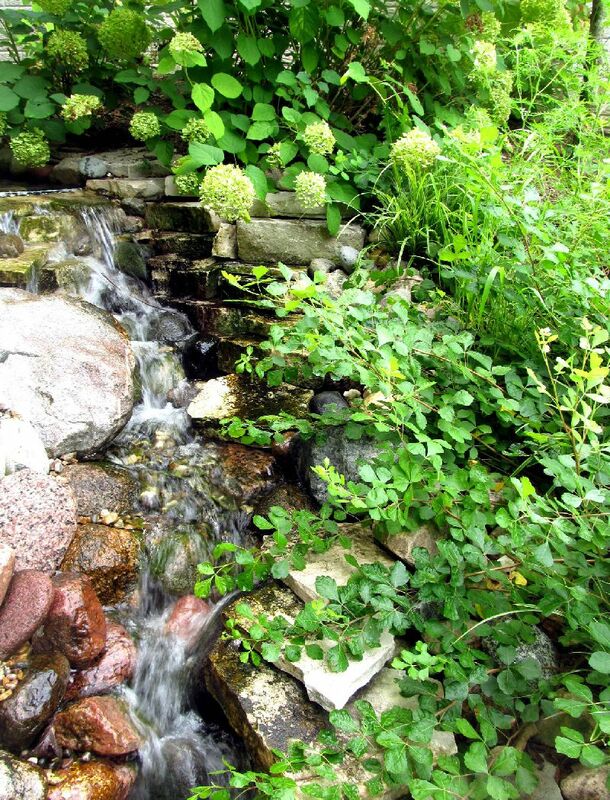 Native communities reduce maintenance, limit runoff and erosion, and provides sense of place. Buffalo didn’t have leaf rakes or hedge trimmers. The highest maintenance landscape surface that is the least visually “natural” is the bluegrass lawn. Americas “love affair” with the lawn ensures its place in our landscapes, but should be considered for what it is, and not a given. 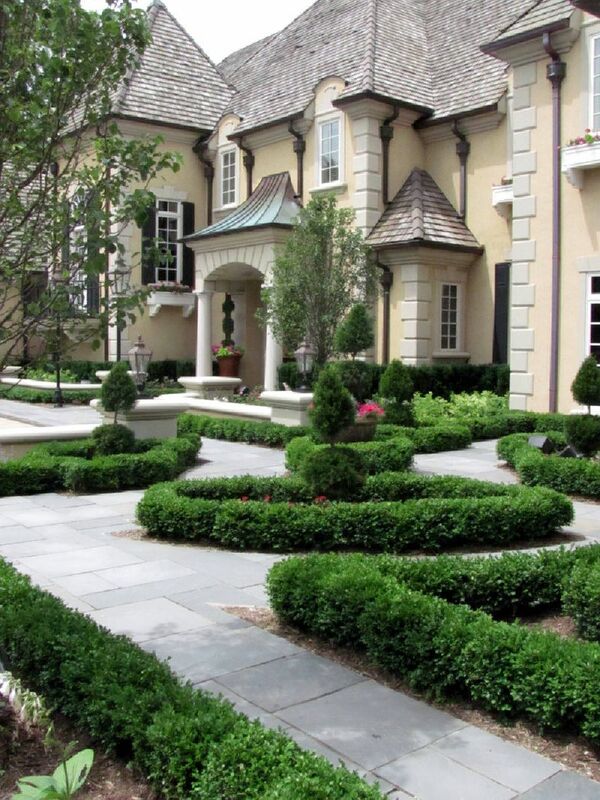 Lawn makes a superior recreational surface, and can make a strong visual impact. When working through the design process of a particular landscape, something must drive the process of where and how things are arranged. Keeping in mind that form follows function, how a site is used by its inhabitants is always an important element in the development of a design. However, once the function is satisfied in a design, many choices must be made on how something will appear upon installation, that may have nothing to do with function. These choices must have something driving them to help make a landscape cohesive, dramatic, and stimulating. 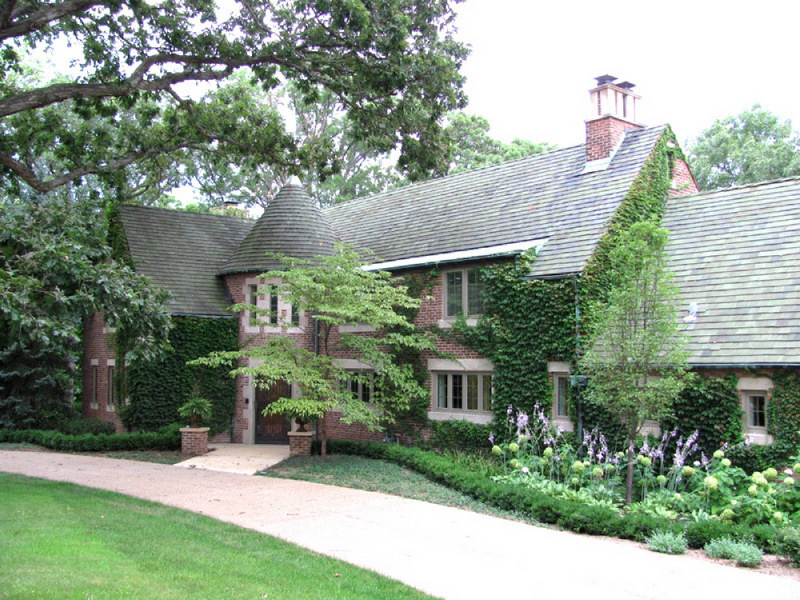 This “driving force” behind the landscape is often times influenced by the architectural style of the house, by the lifestyle of the homeowner or possibly by the site or location of the home. In most cases all of these, as well as additional design elements come into play in the process, although their influence may vary dramatically. However, everything in a landscape must have a reason for its existence and location, or a landscape will become very disjointed, hapless, and often times interfere with the function of the site. When designing landscape, remember that mistakes just get bigger every year. How the landscape and architecture of your home is viewed after dark can be a very important element to your home. 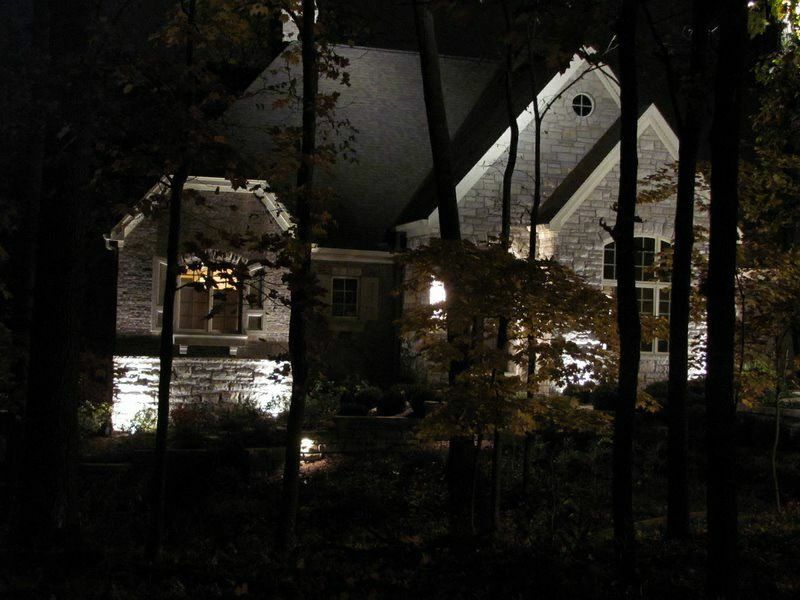 Many times your guests will only experience your home after dark, and lighting becomes the element that allows that to happen. 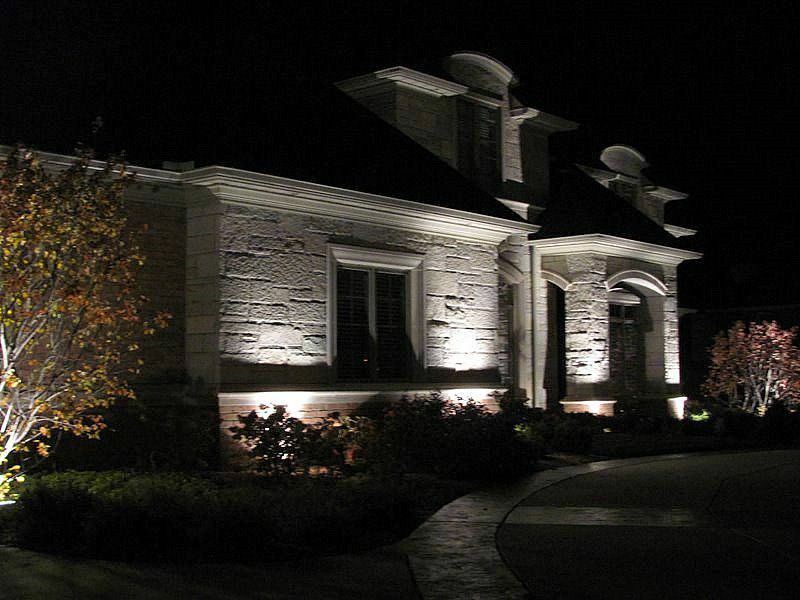 A well designed landscape lighting system will work with exiting line voltage fixtures to provide a functional and aesthetically pleasing illumination of the landscape. Hiding the source of light is a key element. If the source of the light is hidden, reflected light from the subject becomes the light that is visible. 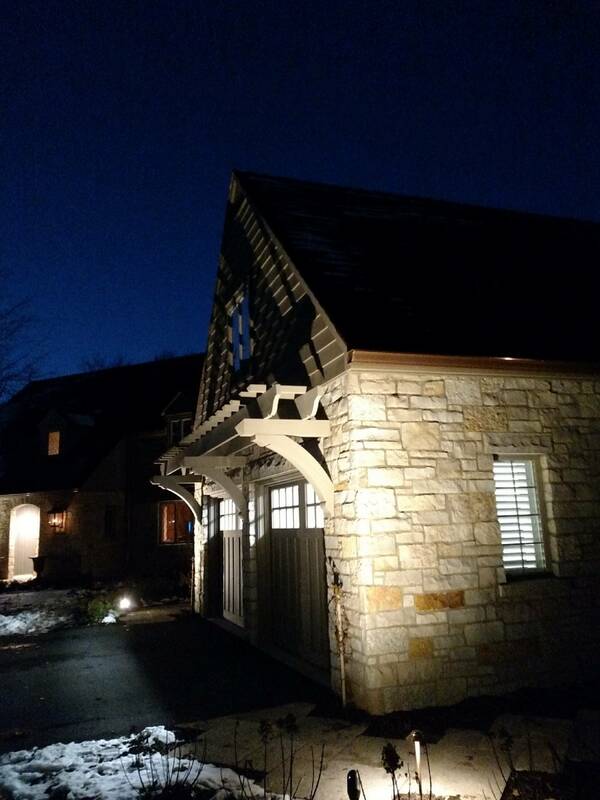 Reflected light is much more subtle, provides more depth, and still succeeds in providing light to access a certain space after dark. Lighting systems installed by Brookside are low voltage systems operating on approximately 12 volts, and are usually LED systems. 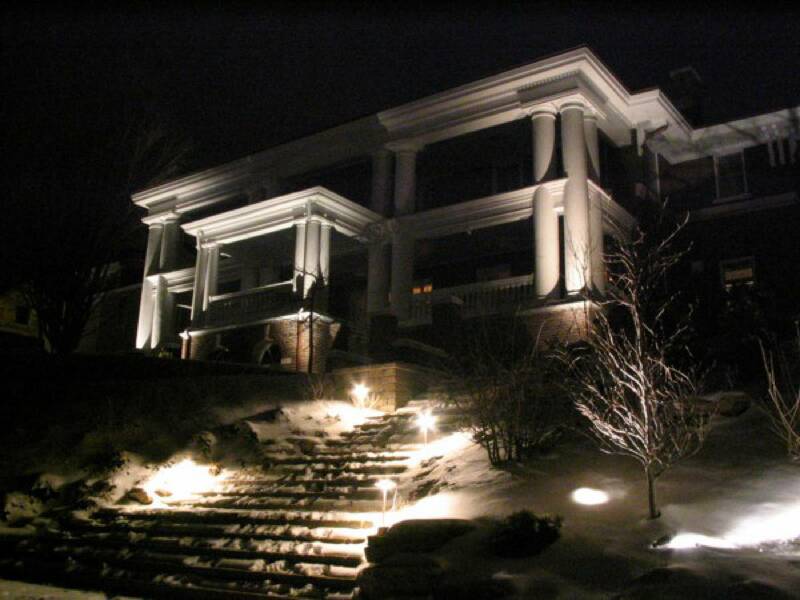 Not only are these systems efficient to operated, but they provide the safety required for fixtures to be used in the harsh outdoors. A transformer will be mounted to the side of your home next to a conventional 3 prong outlet (if none is available, one must be provided by an electrician). Usually the transformer is a stainless steel box that is controlled by a astronomical clock with pre-programed dusk and dawn times. This allows the system to come on at dusk, and switch off at some point during the night, or at dawn. 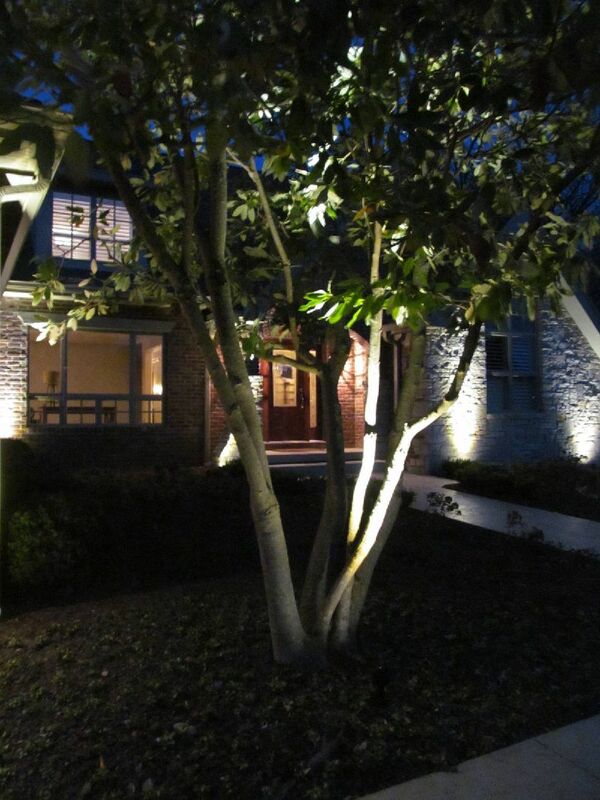 Lighting wire will be buried in your landscape, running from all fixtures to the transformer. Lighting is best installed after a majority of the landscape is complete, and can be installed at anytime after, with minimal additional cost if postponed to a future phase. 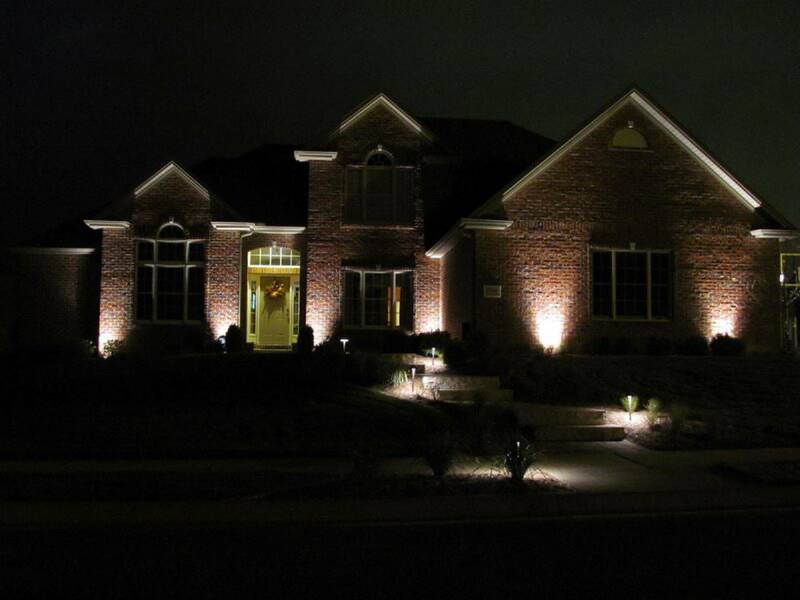 A low voltage lighting system is a very effective way to provide dramatic impact, while extending the functionality of your landscape. 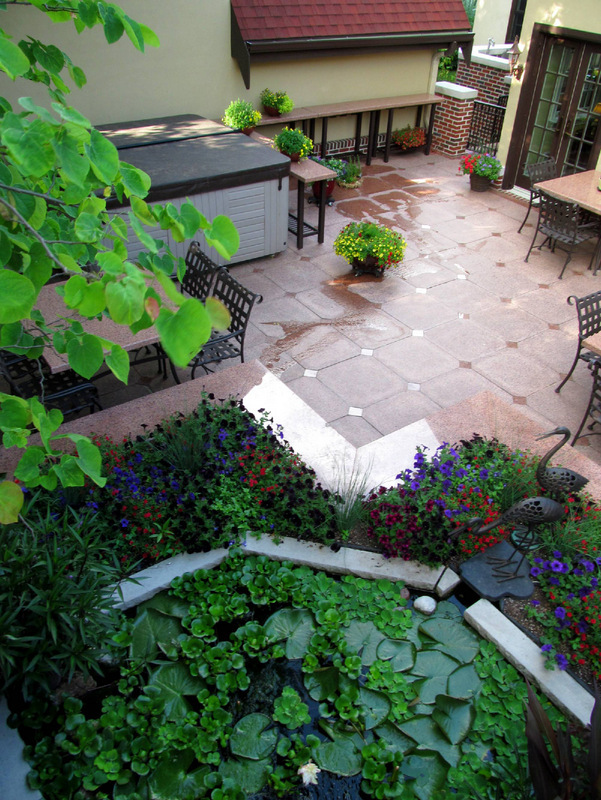 It is no secret that the introduction of water in a landscape provides many benefits. 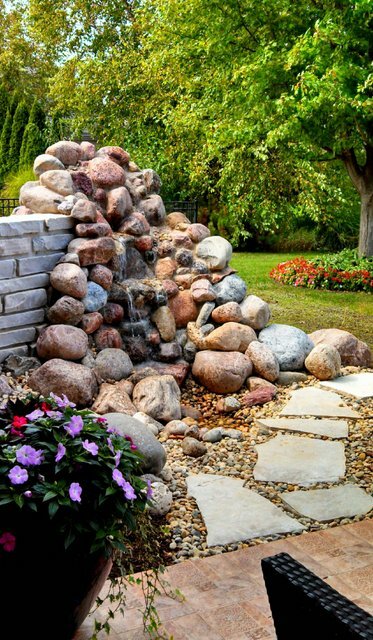 If you are considering a water feature, you have many options. Features vary in the maintenance required. Often times a small bird bath type fountain requires similar maintenance to a large scale water garden due to the constant refilling requirements of the bird bath. 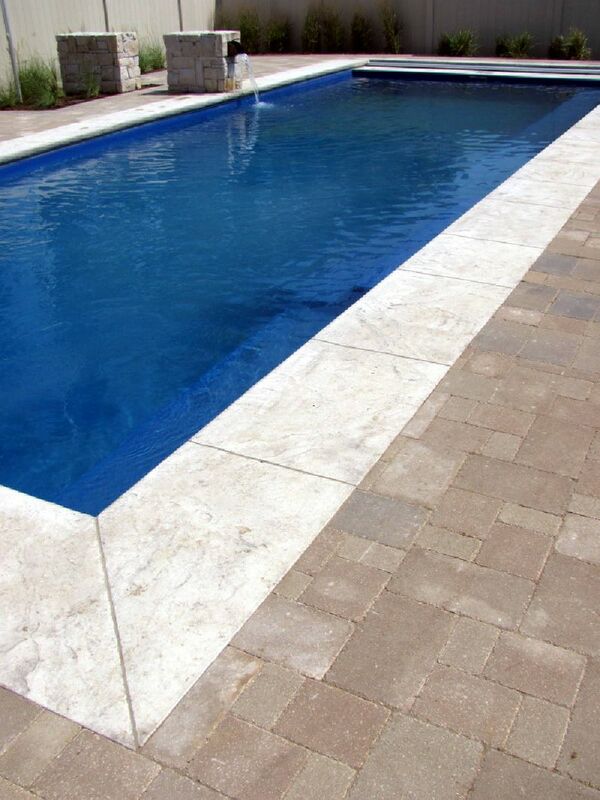 Pools and spas require the highest amount of maintenance, while a built in place fountain (chlorinated) with a substantial water mass, requires the least. 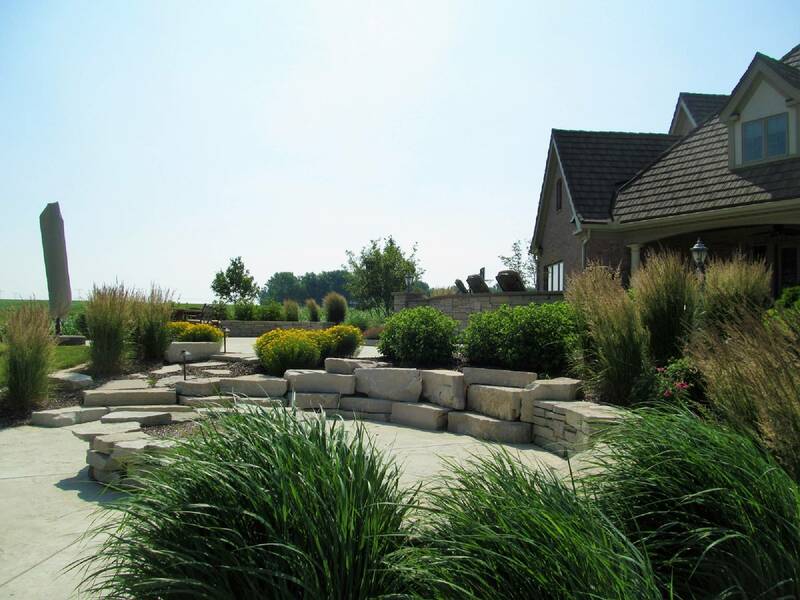 Pond systems provided by various manufacturers allow water gardens to be installed at very reasonable prices, and with very reasonable maintenance requirements. Ponds only require a center depth of two feet. This is enough to keep fish alive through the winter, while being under the depth required by typical local ordinances requiring fencing. 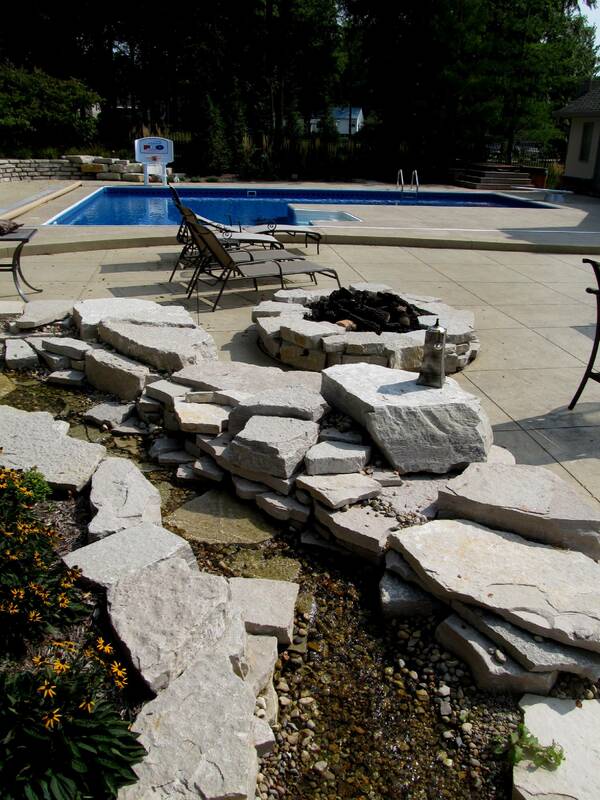 Flexible liners are used to create the pond, which are completely covered by boulders and rock when completed. Two practices apply to the treatment of water in the landscape. The first involves creating a balanced ecosystem through the use of floating and potted plants, the correct quantity of Koi or Goldfish, allowing certain types of algae growth, and creating environments for bacterial growth. 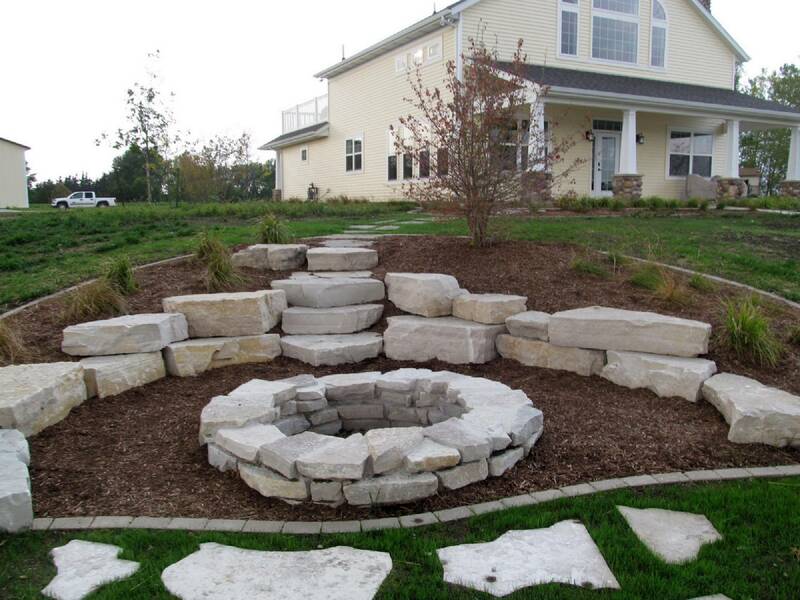 Along with pond placement and exposure these elements will provide you with a clear and clean water garden. 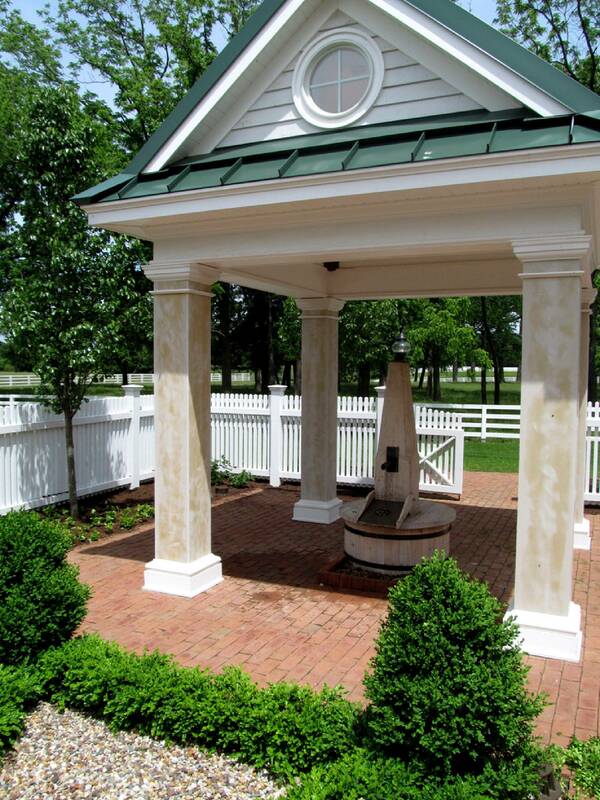 The second type of water treatment is to shock the water with periodic chlorine treatments. Pool and spa products, or regular household bleach will suffice. 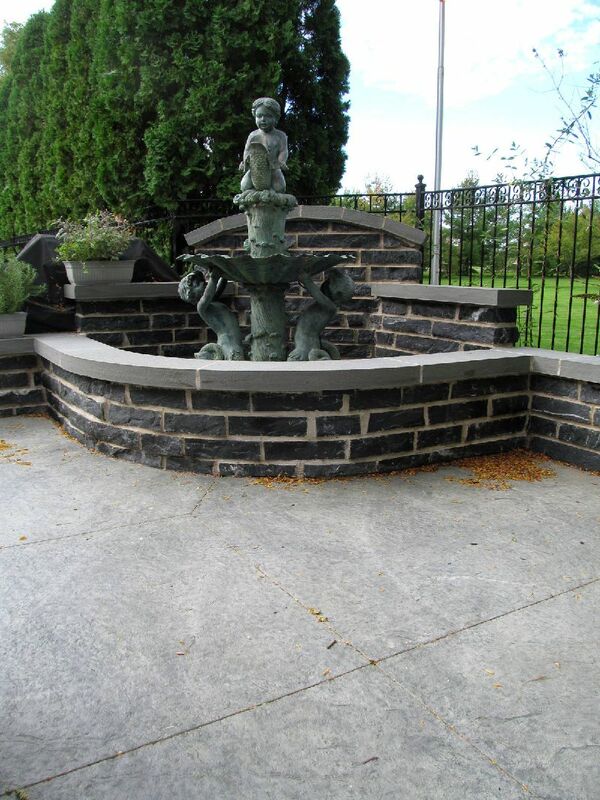 This is best used in architectural type fountains, or features of a smaller scale. 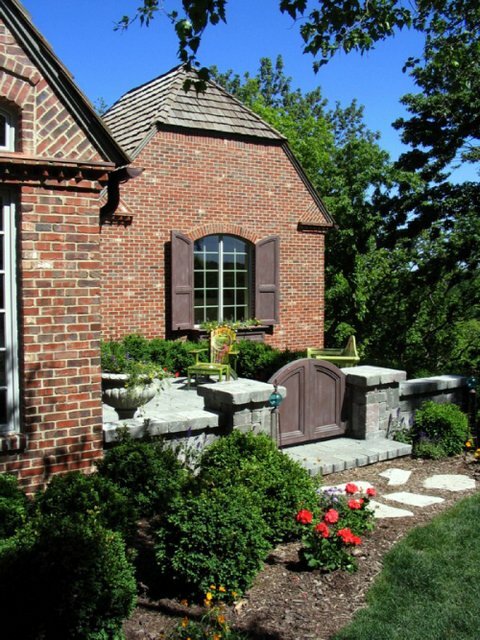 With the impact water can make in a landscape, and the maintenance options available, many homeowners can benefit through the use of water in the landscape. Prior to settlement, 60% of Illinois was covered in Prairie. Today less than one-hundredth of one percent remains. 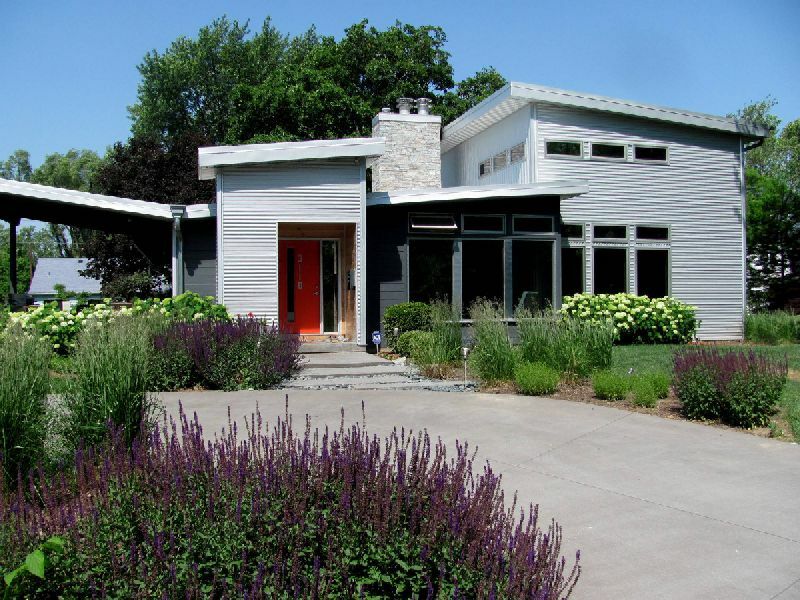 -Low Maintenance-Established prairie requires exponentially less maintenance than lawn. 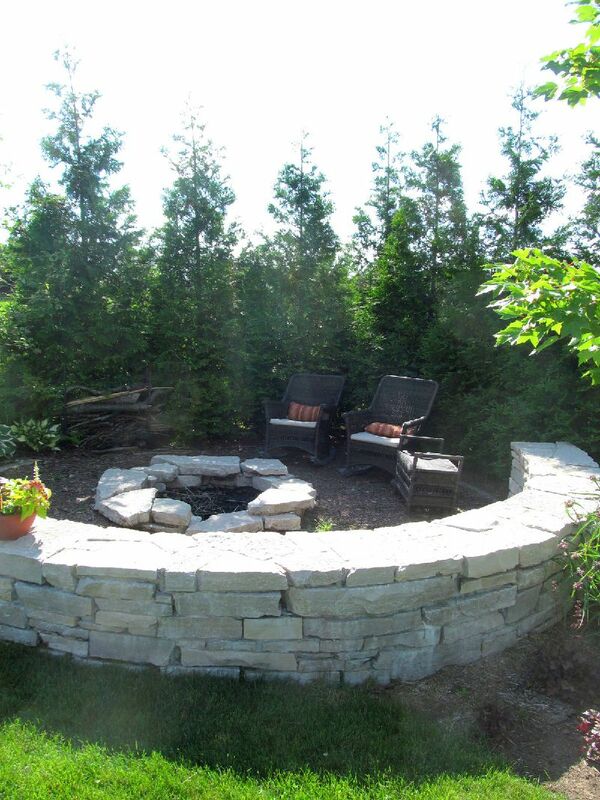 -Transitions to Woodland-Lawn meeting woodland creates a harsh transition unlike a prairie edge which flows smoothly. -Seasonal Change-few landscapes change more dramatically than a tall grass prairie. -Sense of Place-Nothing says central Illinois better than prairie. Prairie plants are not invasive weeds, but plants that require an establishment period to develop into mature elements of a ecosystem. 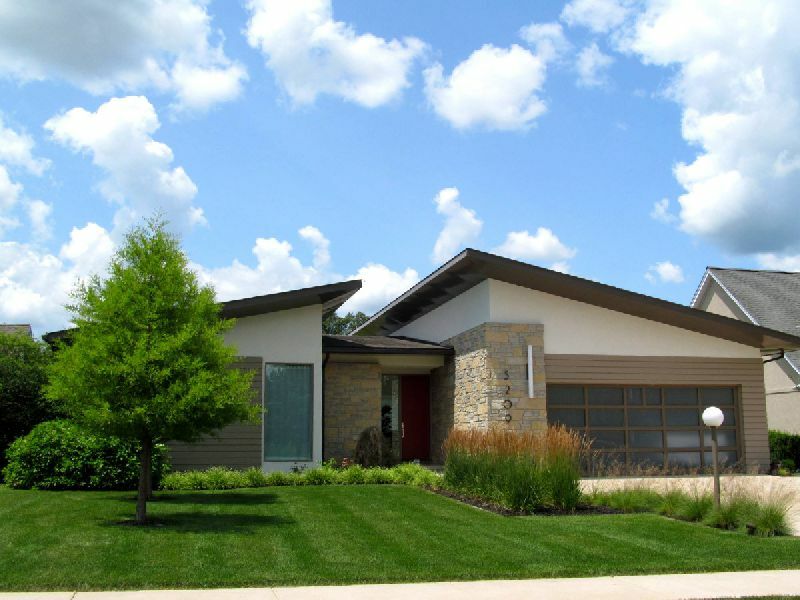 There is an establishment period with prairie restorations that requires maintenance. As with any landscape, this period is the most critical for the long term success of a project. 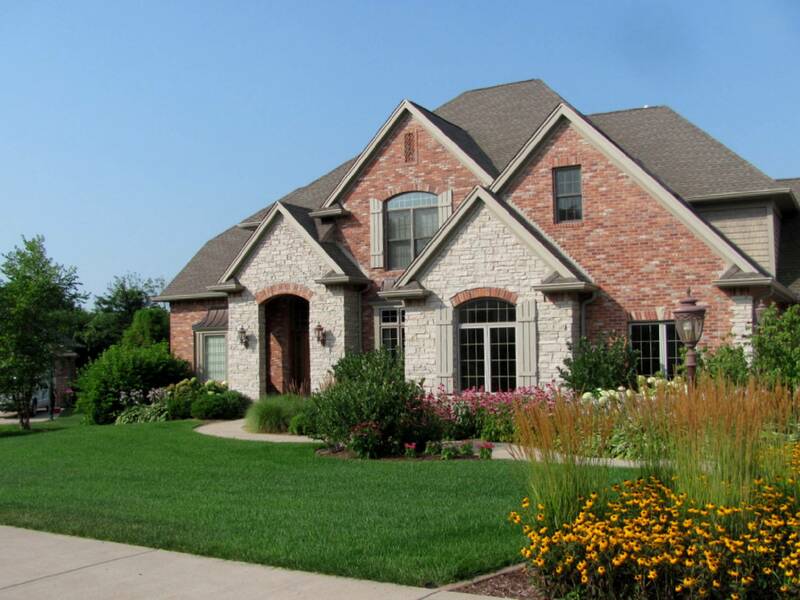 Lawn is the highest maintenance landscape surface that can be installed. With homes being located in country settings on multiple acres, prairie can offer an alternative to spending the weekend on a lawn mower. Environmental benefits of restoring native vegetation abound. 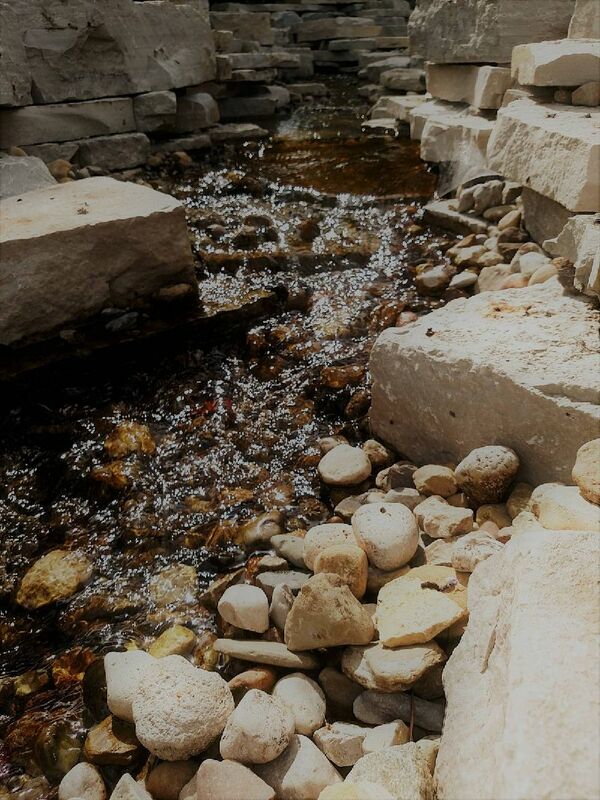 Erosion and runoff are decreased, habitat for birds, butterflies, and beneficial insects is created, and there are fewer chemical and fertilization requirements. Native plants are plants that love our environment, and have defenses to many pests and diseases that can plague a landscape. Hot dry summers are what these plants expect. 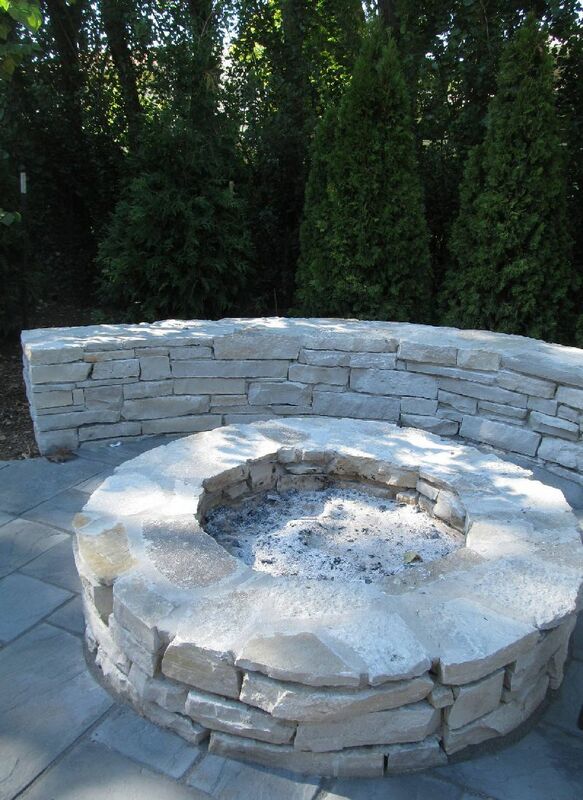 Fire is an element in the landscape that has a long history of importance to the human race. Not only can it provide warmth on a summer night after a day in the pool, but the ambiance created by the light emitted is hard to match. An cool fall evening roasting marshmallows around a real wood fire brings a feeling of nostalgia to the minds of many. 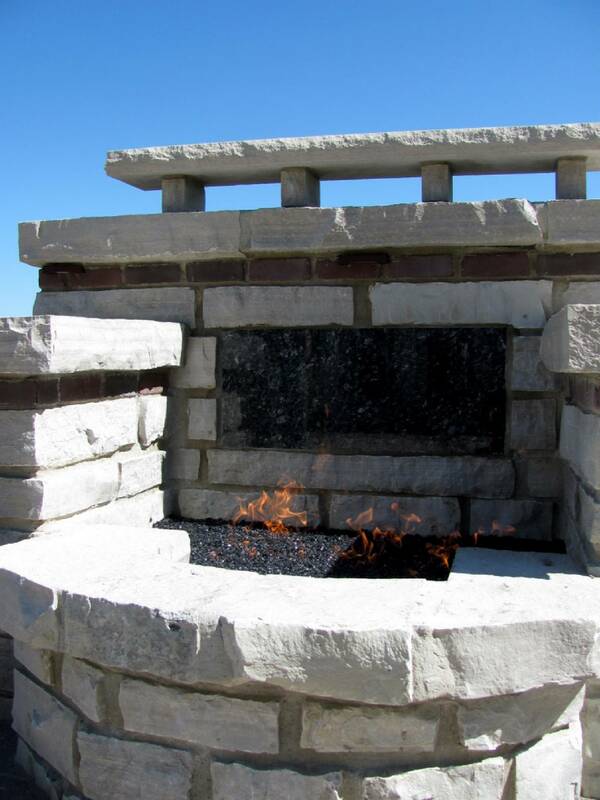 Fire is an element we can use to our advantage in a landscape in many different ways. Placement of a fire feature can somewhat dictate it’s use. 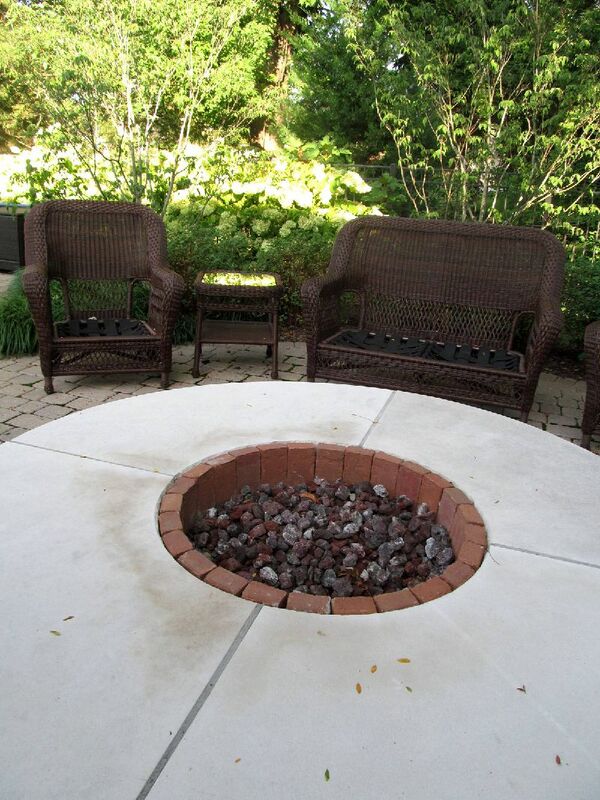 A wood burning fire pit, placed a distance from outdoor living, creates a destination and event. 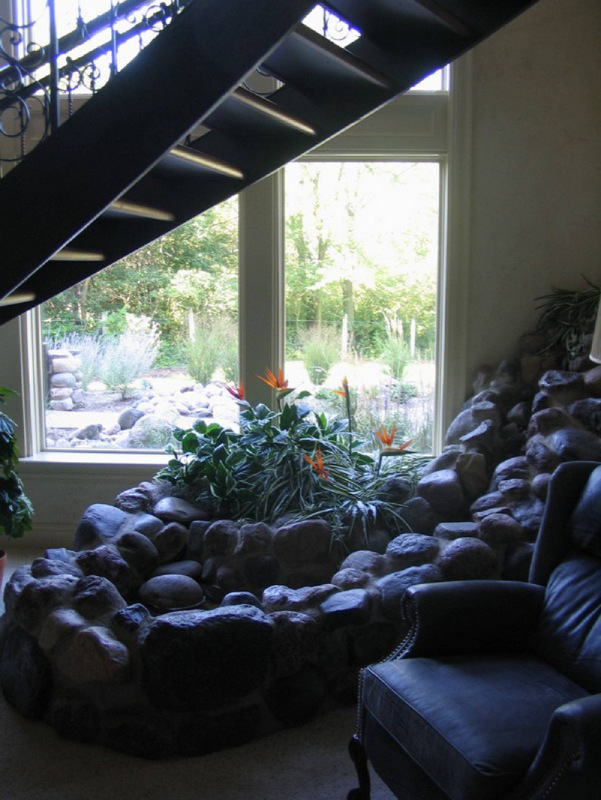 It often is used more in fall and spring, but becomes its own entertaining space. 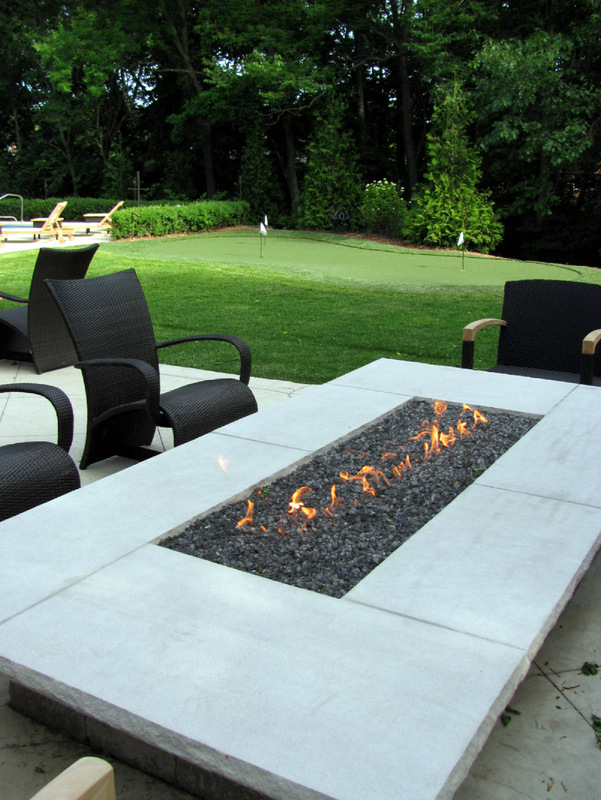 A gas feature, located in close proximity to a patio or pool deck, is often used through all seasons, for both ambiance and warmth. 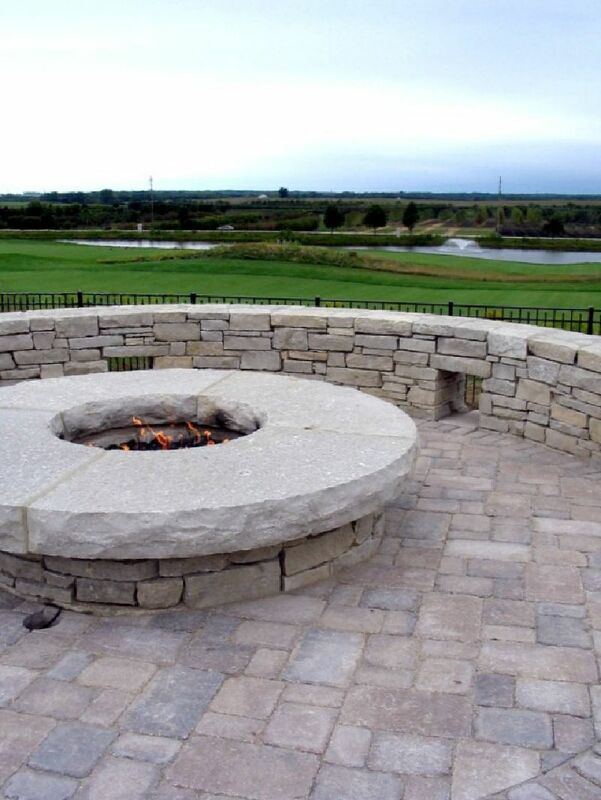 The Design of a fire feature is a product of the number of people that will use the feature at a given time, as well as how that feature will be used. 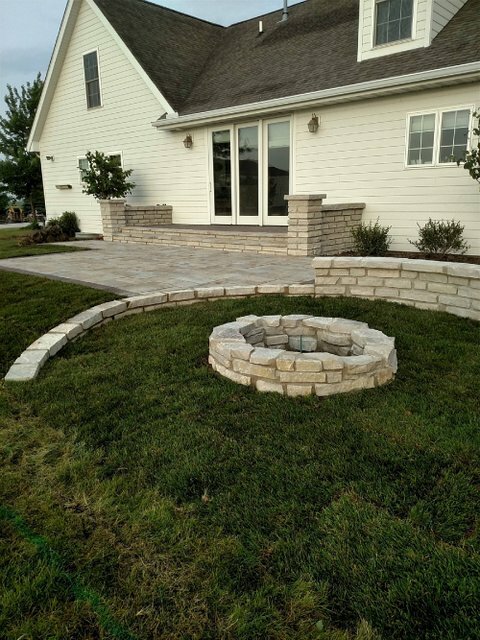 A fireplace allows seating in a 180 degree arc, but can create a more intimate scape space, while a fire pit allows 360 degree seating. 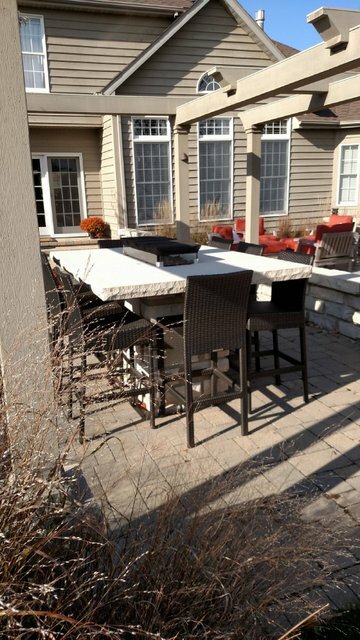 A fire table can sometimes provide the same function as a dinette set in an outdoor living space. 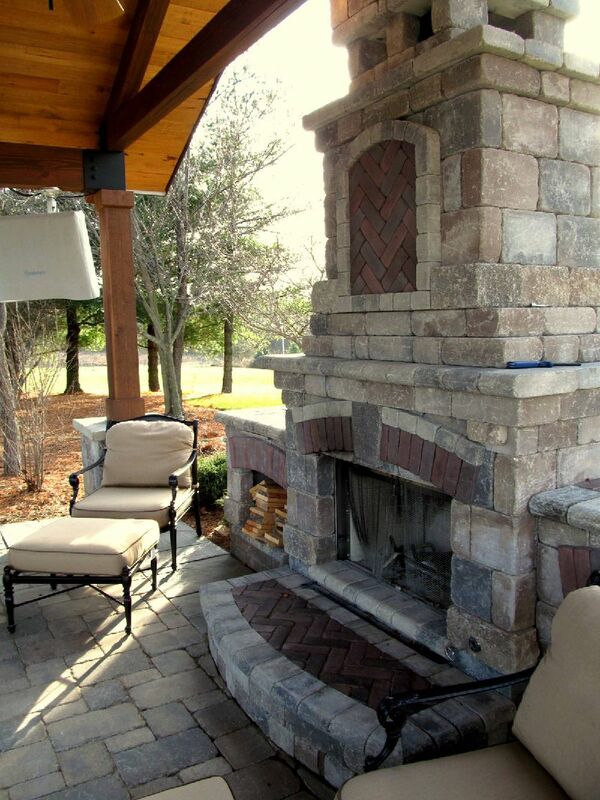 Fire is a welcome element in creating dramatic and functional outdoor living spaces for you and your family. 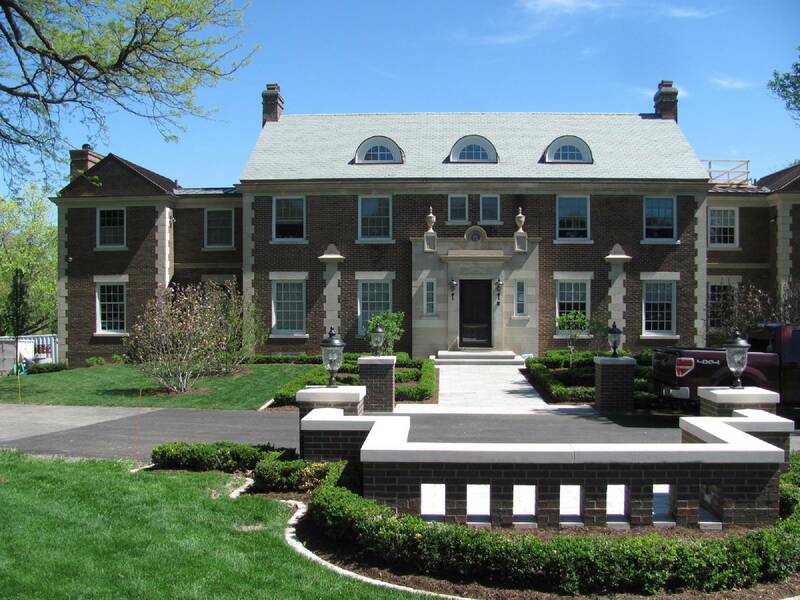 Segmental paving systems are simply the use of independent "segments" of material, laid together in a manner to form a continuous surface capable of long term pedestrian and/or vehicular use. With segmental paving, the base becomes a key element to the paving system, so correct installation and compaction is key. The paving units themselves can be brick, stone, or more typically, a manufactured concrete product. Historically, a small aggregate such as sand was used to fill the joints between the individual units. This could provide some maintenance issues, with growth in the joints over time, if the system was not maintained correctly. However, due to advancements in the segmental paving industry, joint materials such as polymeric sand have been developed. This material hardens upon activation and binds to both itself and the paver, while still providing the flexibility required by the system. Developments such as this, have mostly eliminated the maintenance issues with segmental paving. 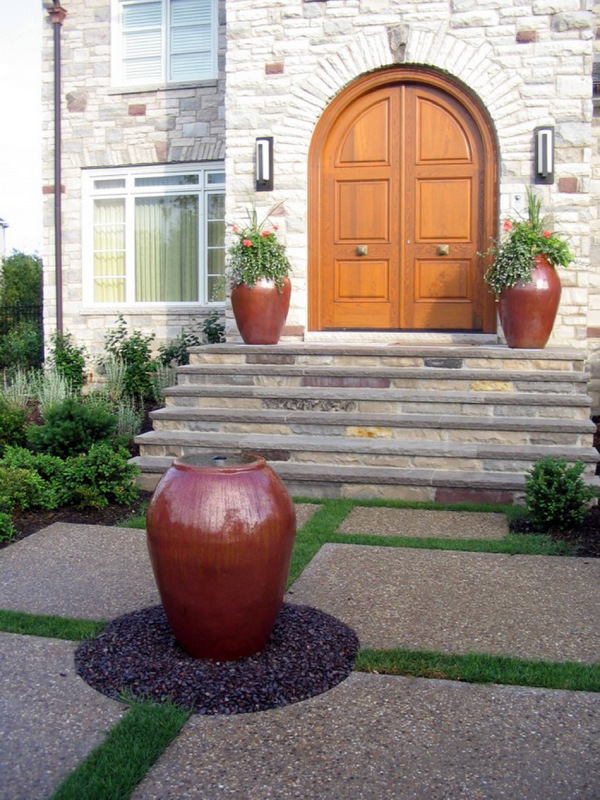 These systems also provide a much greater aesthetic value to paving surfaces, as well as an extended "aesthetic life". A concrete or asphalt drive may function just fine after many years of use, but cracking, spalling, discoloration, etc... makes that surface less than desirable. 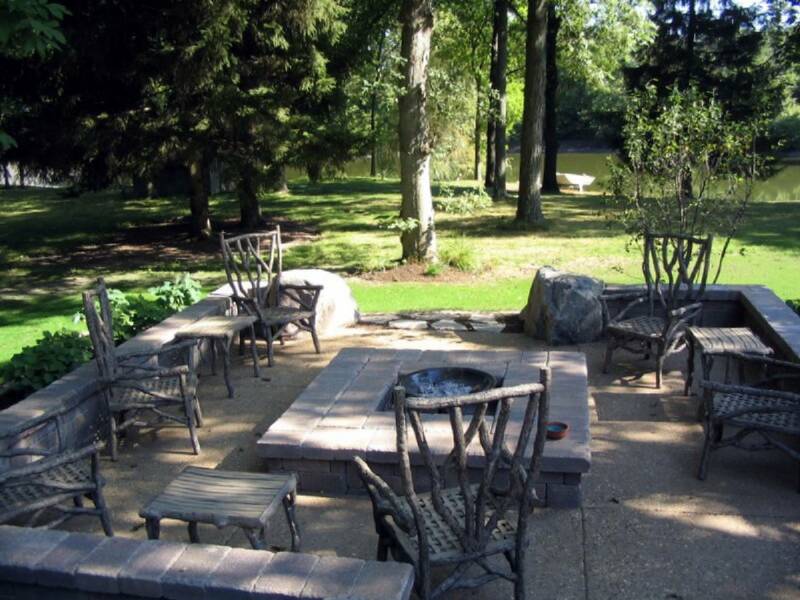 Even manufactured concrete pavers have a psi rating two to three time the rate of poured in place surfaces. 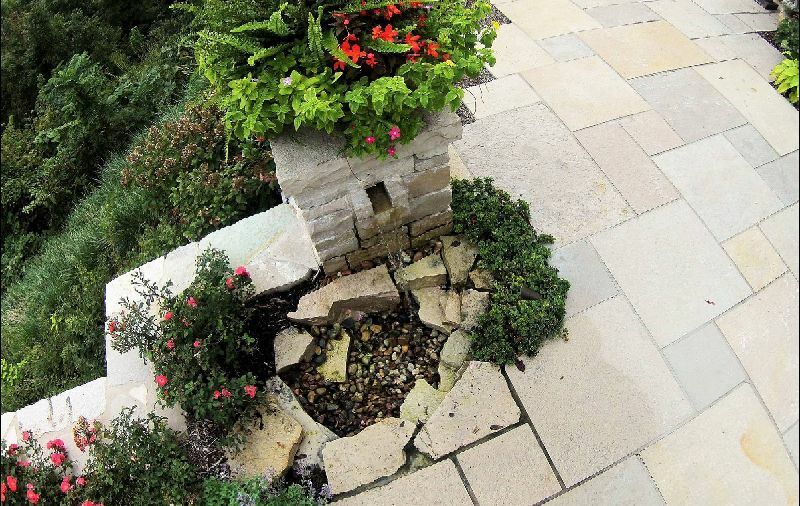 Not only is segmental paving simple to repair, if some unforeseen construction, damage, or changes should occur, it is very flexible in its application. 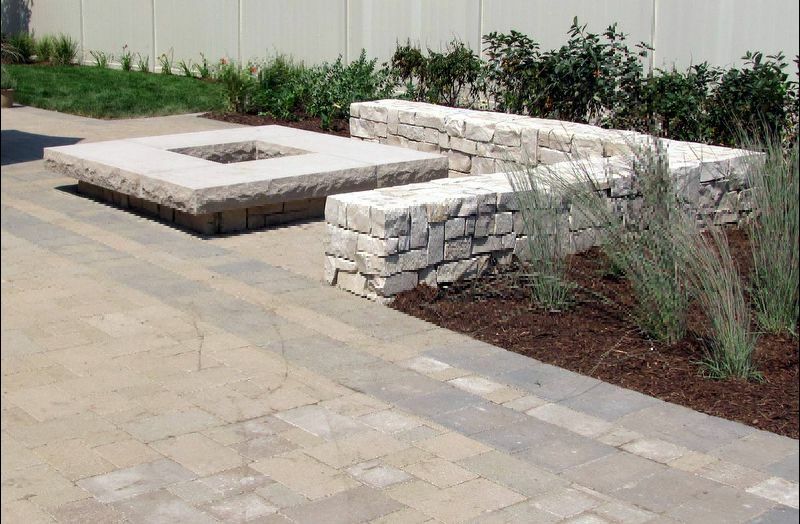 With some slight adjustments to the materials used in the base/setting bed/joint material, a permeable system can be created. Rainwater can pass through the system, decreasing and purifying runoff water from rain events and can even provide retention of storm water on sites where water management is an issue. These systems provide a very durable paving that has proven the test of time in every climate across our nation, as well as the world. Similar systems were used as far back as Roman times, while many present-day systems are used in shipping yards and airport tarmacs. Segmental pavers for vehicular use.